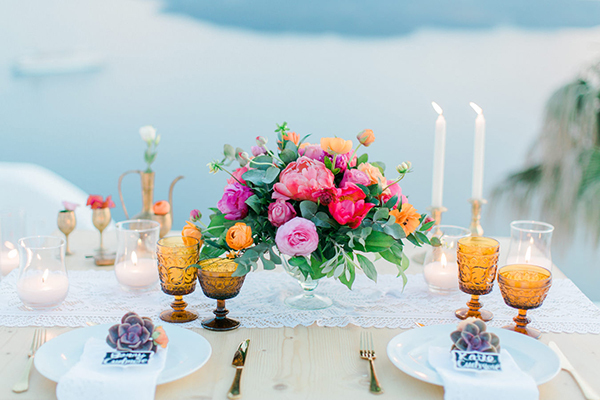 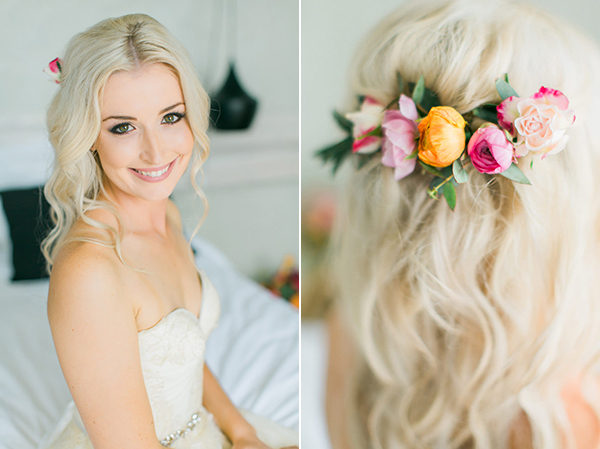 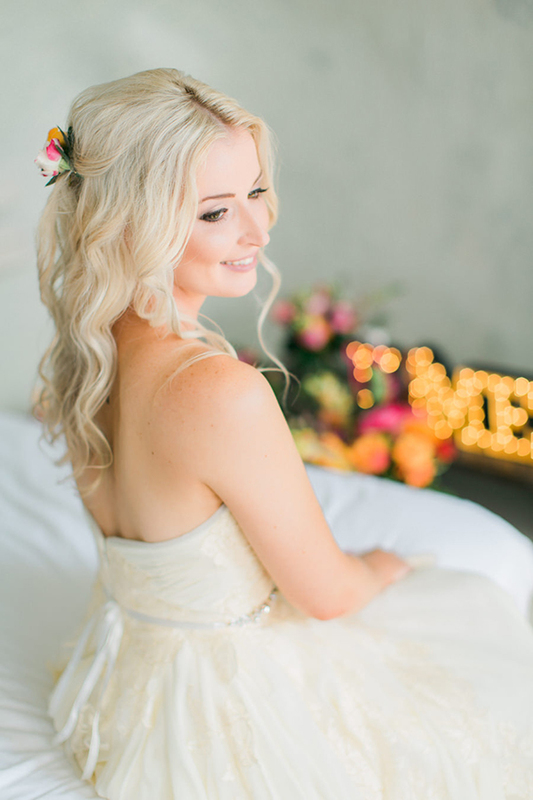 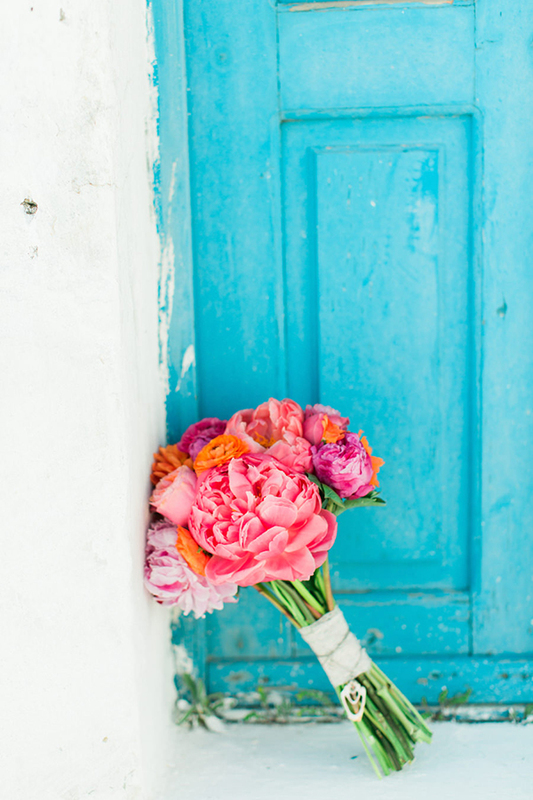 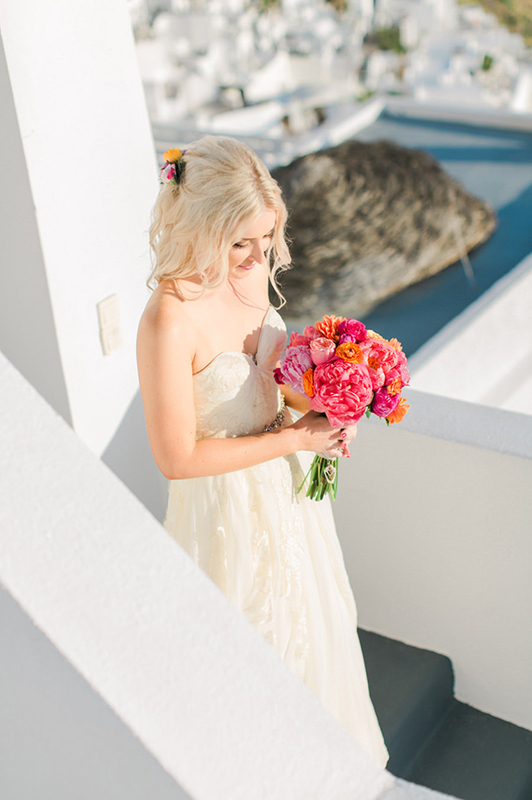 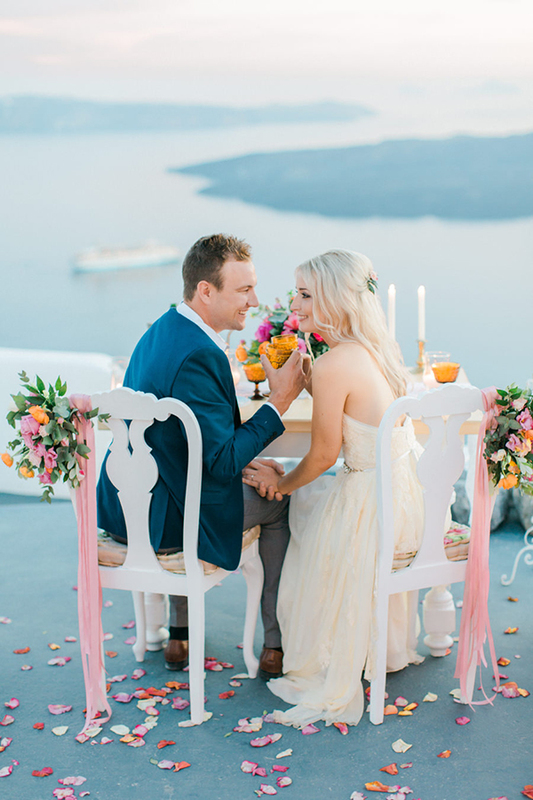 With bright colors that completely scream summer, this romantic elopement you are about to see captured beautifully by Anna Roussos can really push the envelope of gorgeousness! 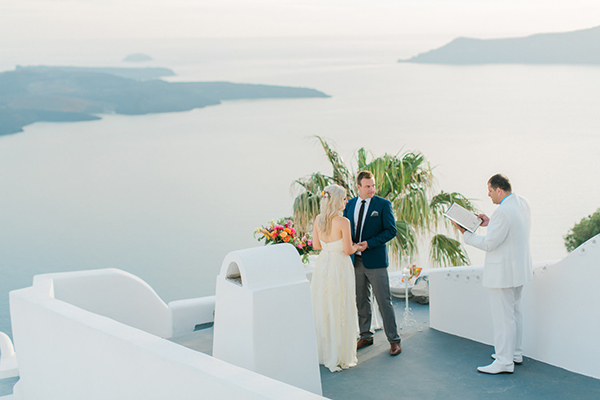 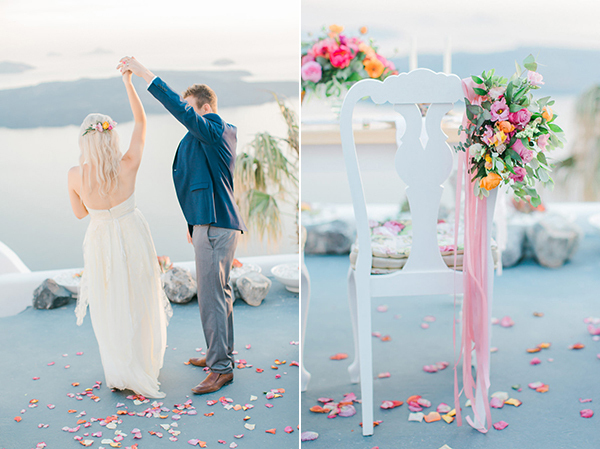 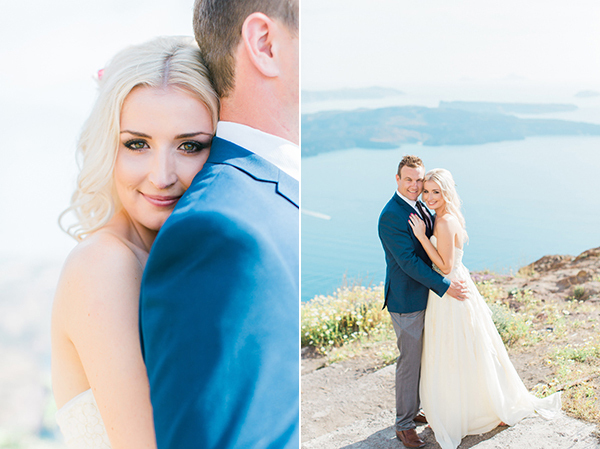 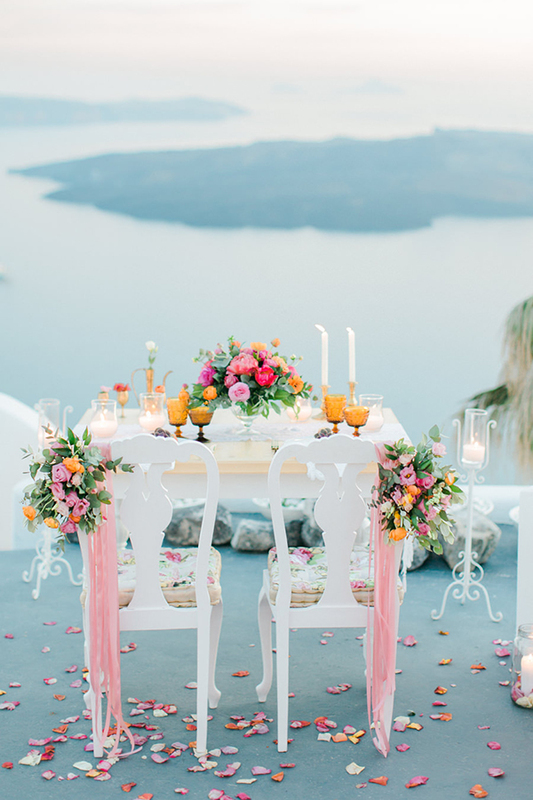 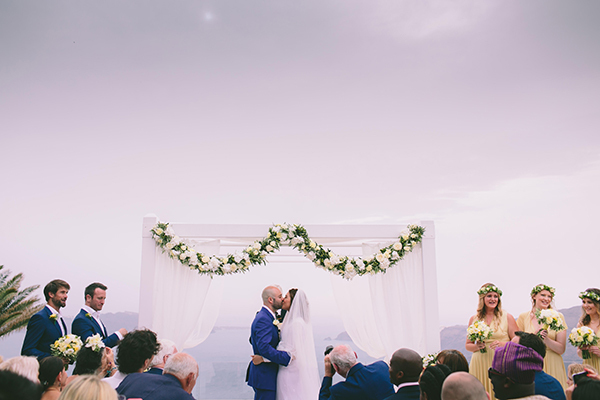 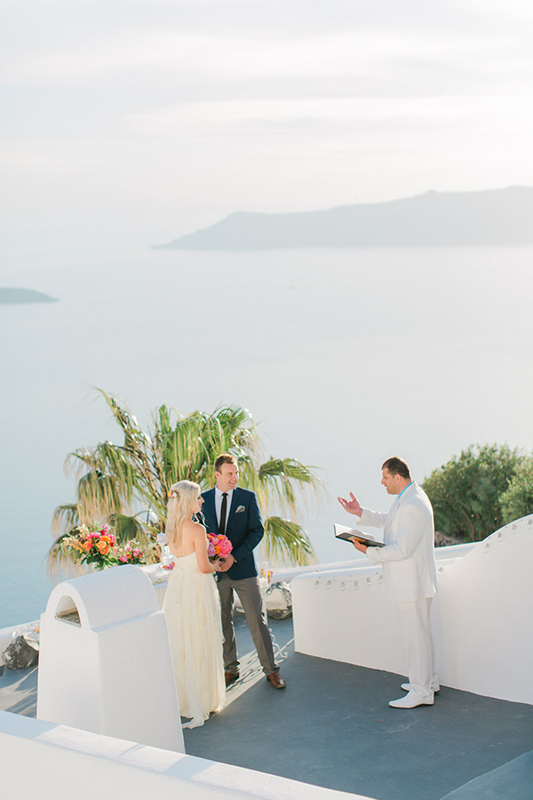 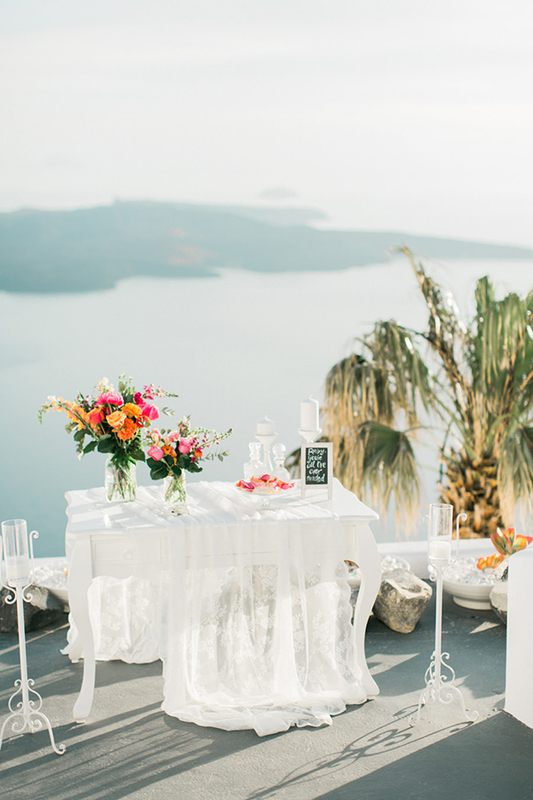 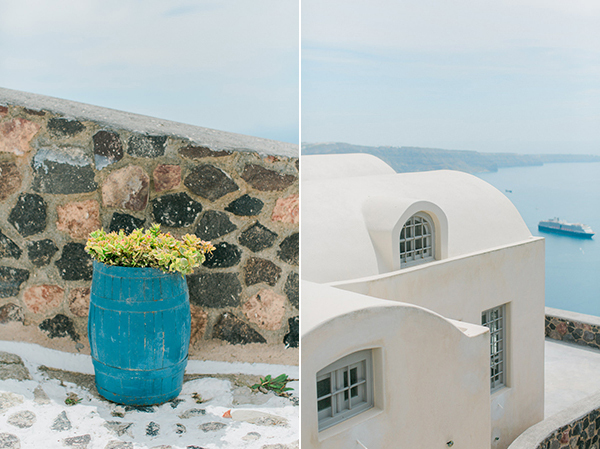 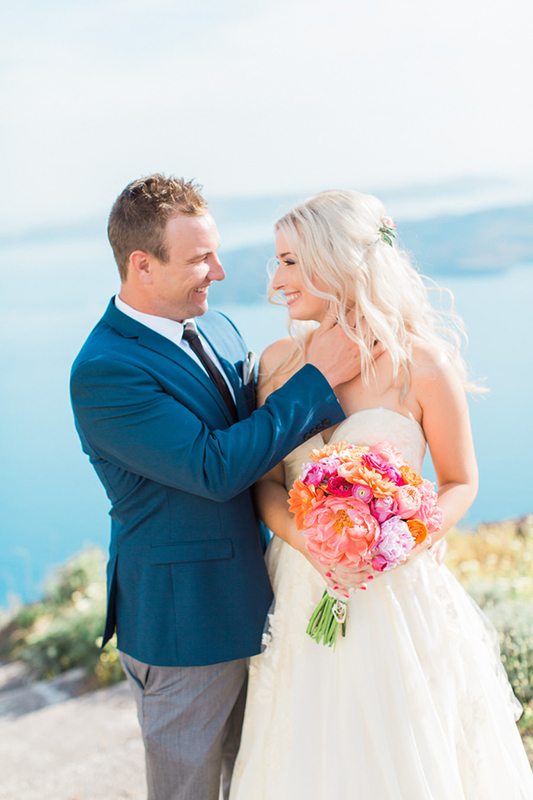 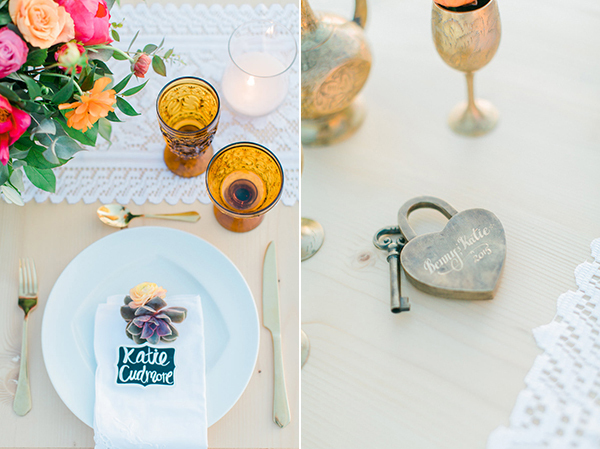 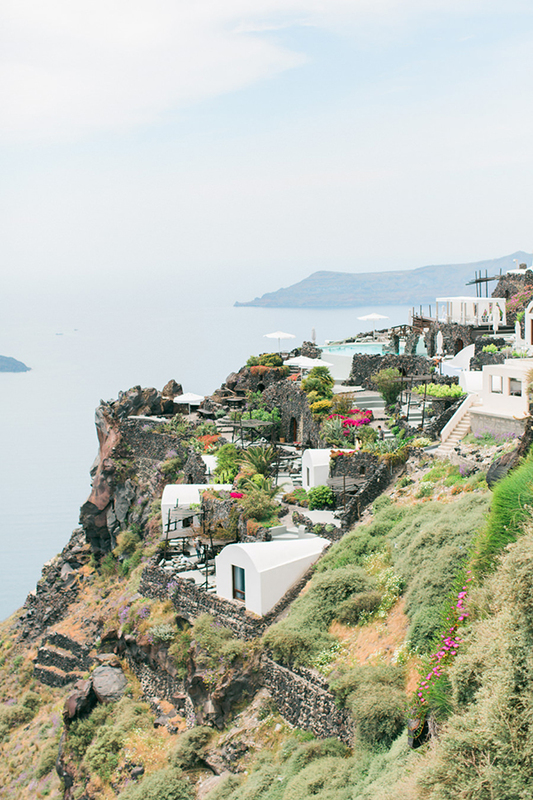 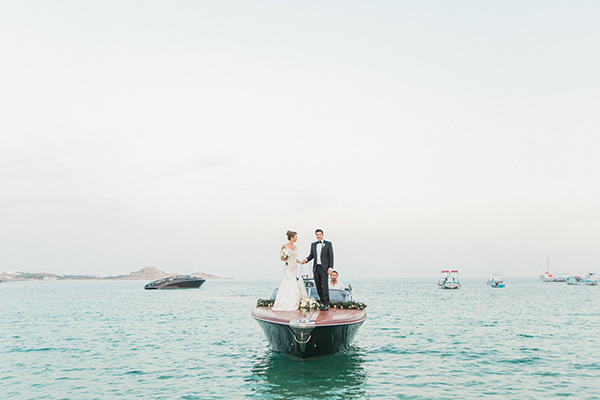 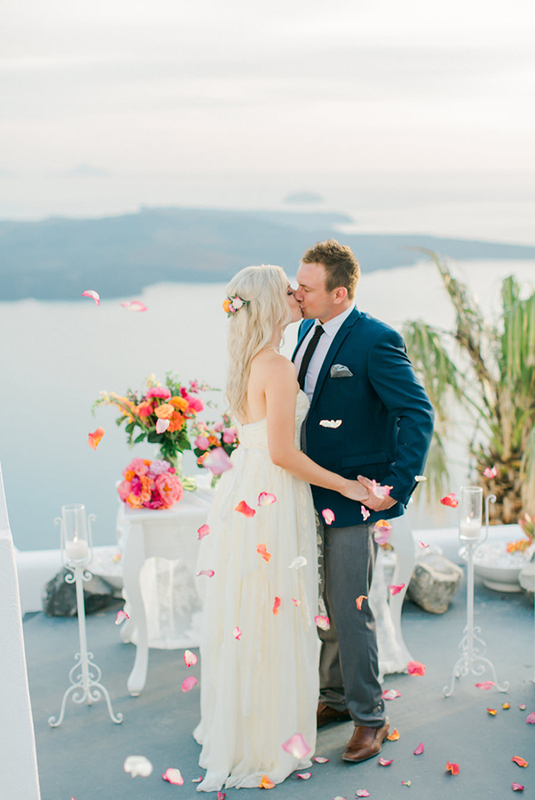 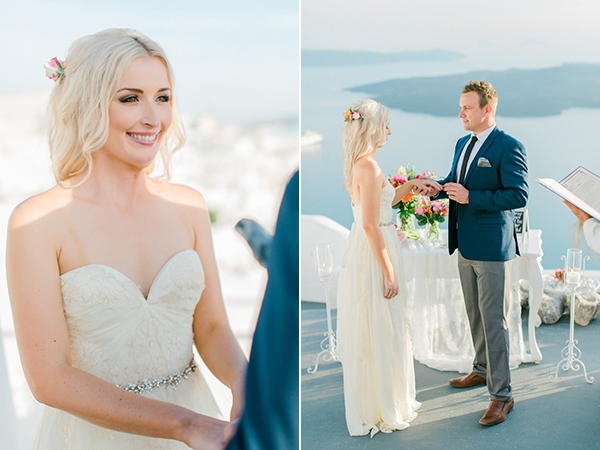 Katie and Benny decided to tie the knot in Santorini, at a stunning location overlooking the caldera…. 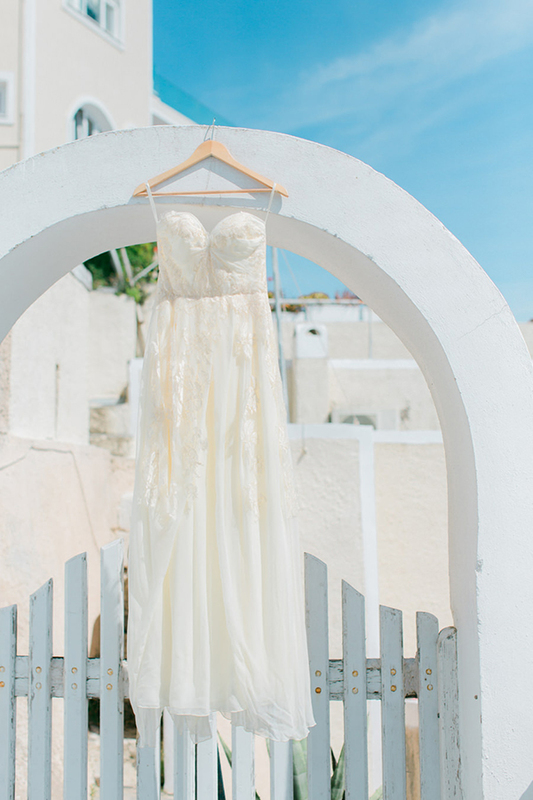 Sounds so dreamy! 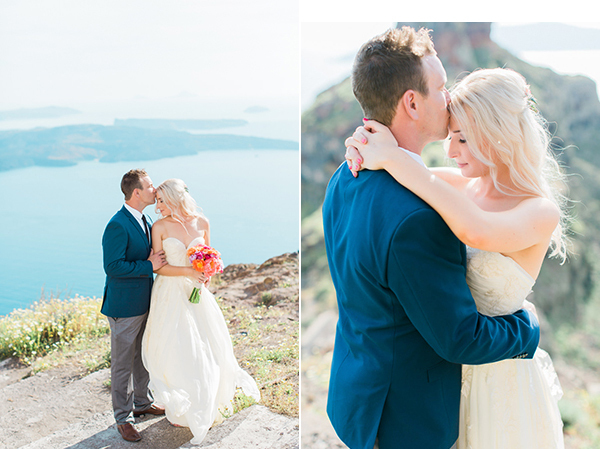 The bride shared with us:“We met in 2004 (both 17 at the time) we had the same group of friends. 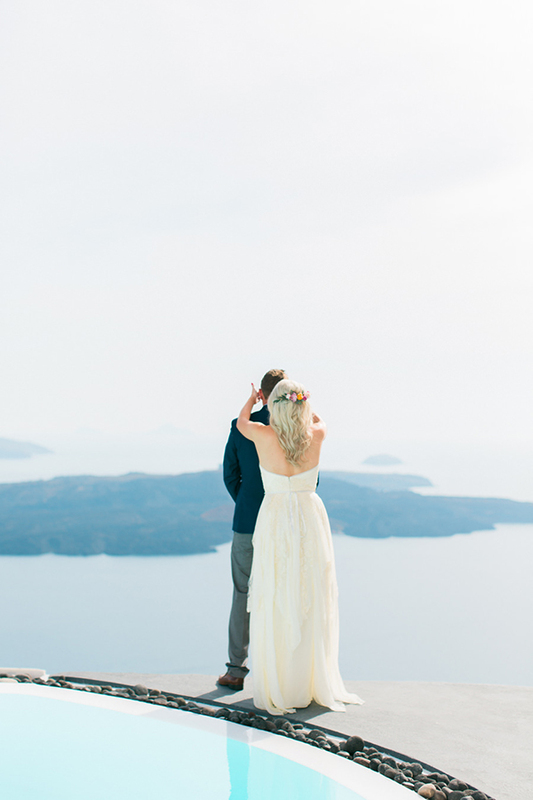 They knew we were both currently single and thought we’d be good as a couple. 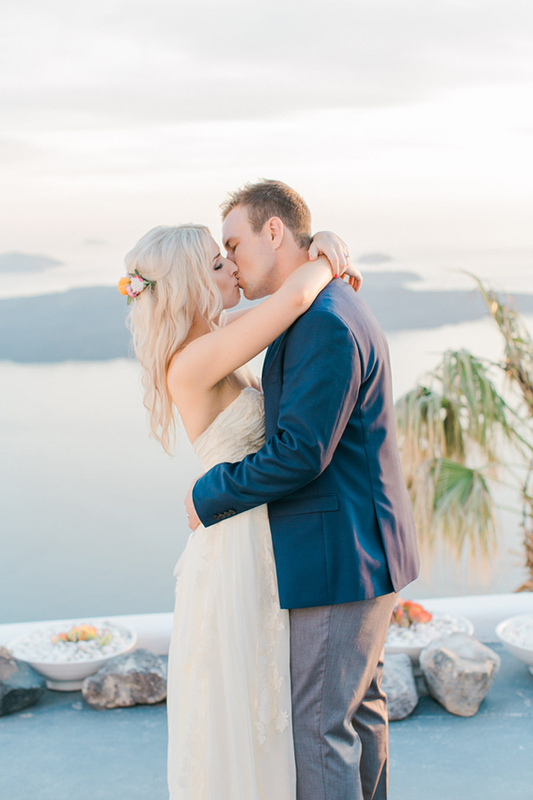 We were introduced to each other and instantly hit it off. 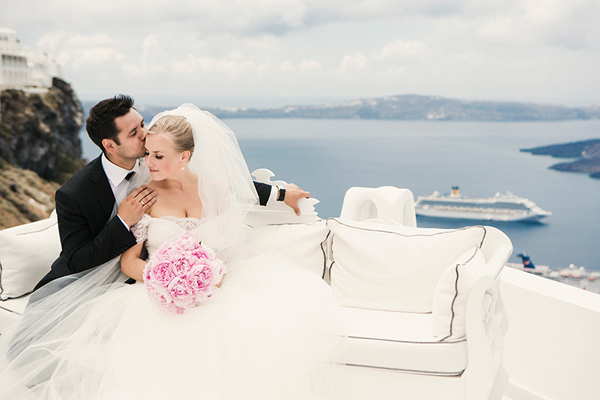 We had a lot of similar interests, the dates continued and the rest is beautiful history! 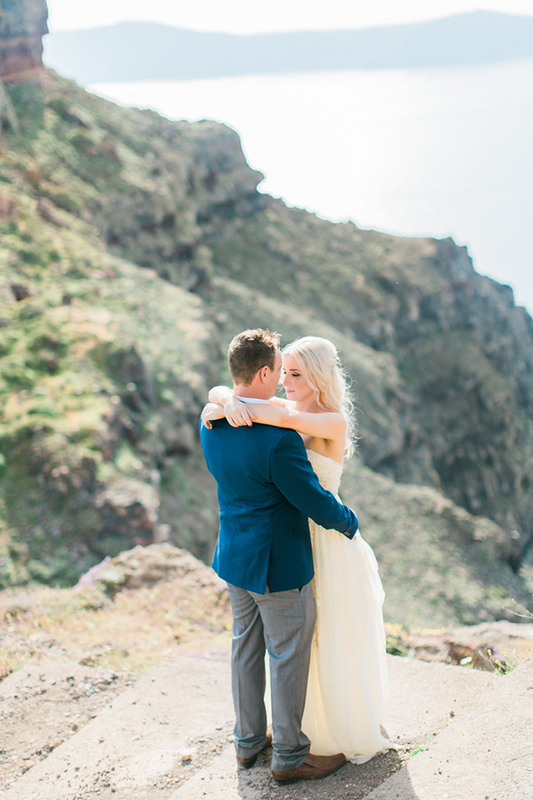 Now, as for the proposal… we actually didn’t get engaged. 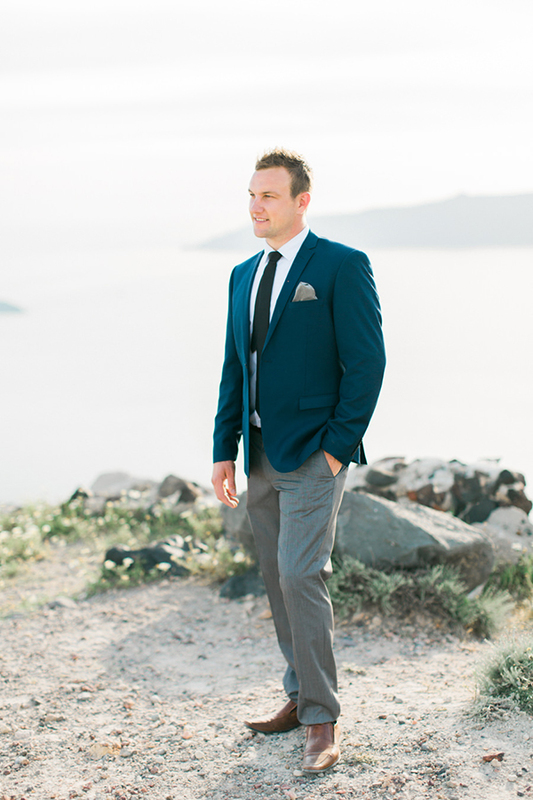 I am not the type of girl who likes to be center of attention and Benny knows this. 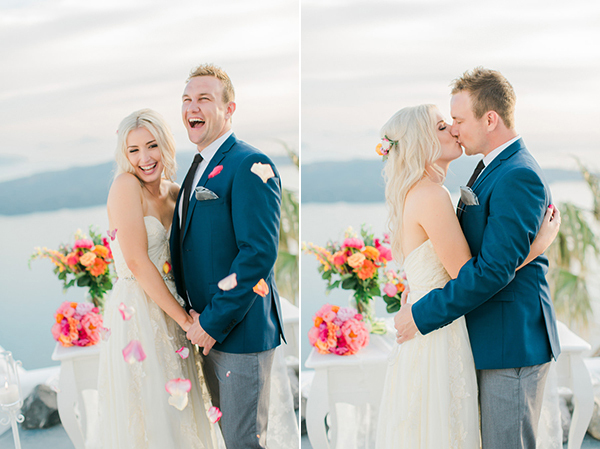 As the relationship grew, year after year, we honestly just came to a mutual agreement that we would just get married when we were ready. 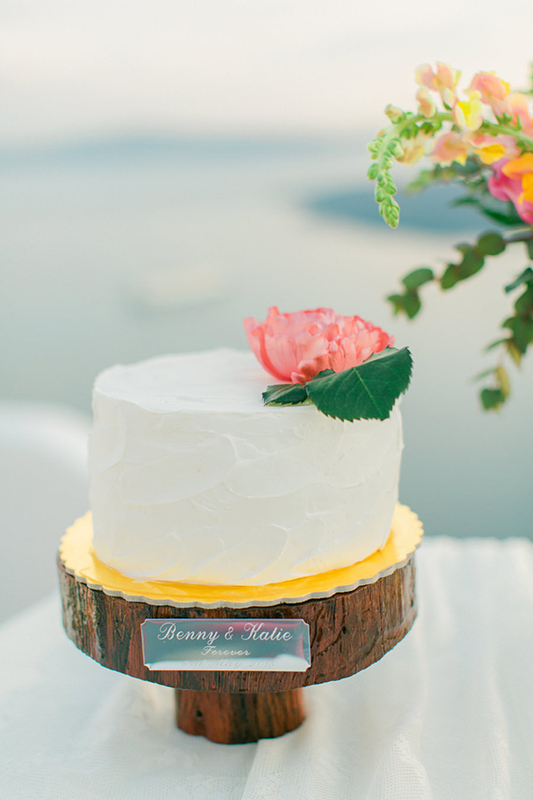 We kept it simple. 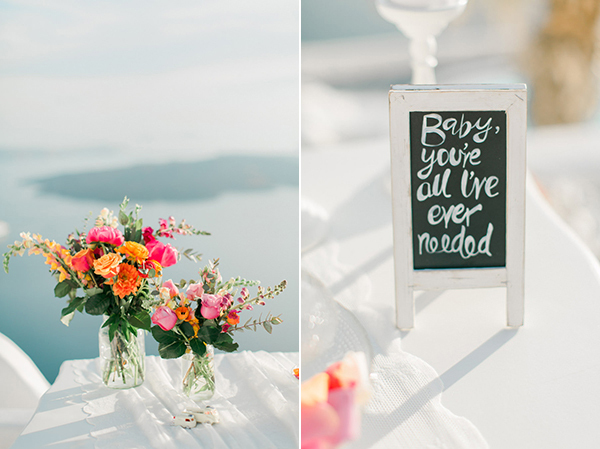 My thought also was that any money we’d spend on engagement ring, party etc. 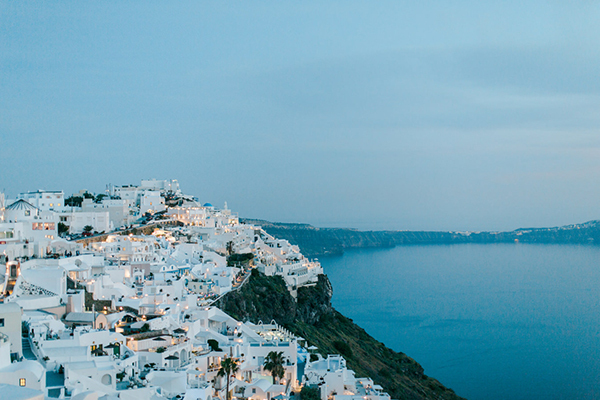 would be far better off put into a deposit for a home”. 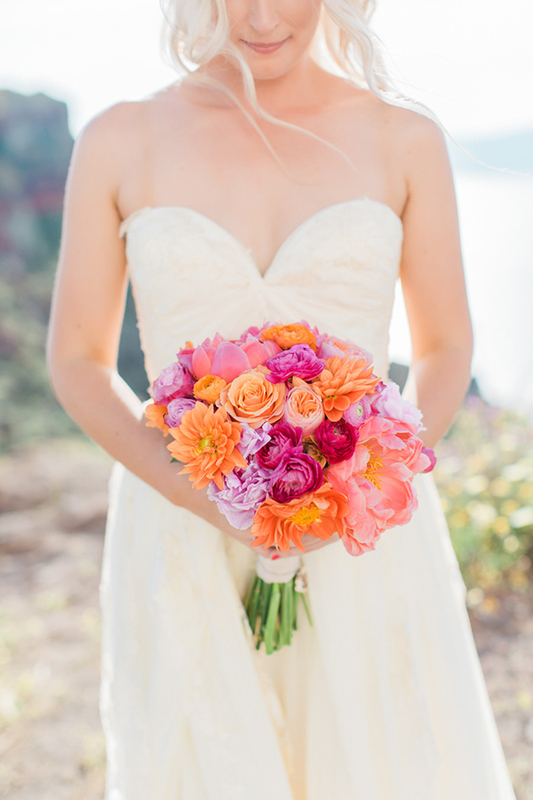 The beautiful bridal bouquet had lovely peonies, roses, orange ranunculus and coral dahlias.